Helping Grieving People is a training manual for care providers who provide support and counseling to those grieving death, illness, and other losses. The author addresses grief as it affects a variety of relationships and discusses different intervention and support strategies, always cognizant of individual and cultural differences in the expression and treatment of grief. Jeffreys has established a practical approach to preparing trainee caregivers through three basic tracks: Heart, Head, and Hand. The first step, Heart, calls for self discovery, freeing oneself of accumulated loss in order to focus all attention on the griever. 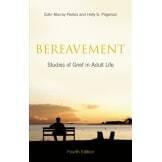 Head emphasizes understanding the complex and dynamic phenomena of human grief. Hand stresses the caregiver's actual intervention, and speaks to the appropriate level of skill as well as the various methods of healing available. Following these three motifs, the Handbook discusses the social and cultural contexts of grief as well as its psychological constructs. 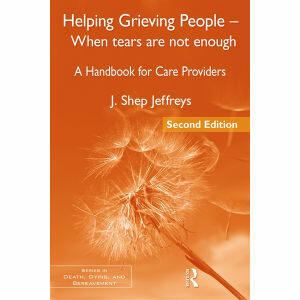 Throughout the book, Jeffreys presents the role of the caregiver as an 'exquisite witness' to the grief and pain of the surviving family and friends, and also to the life that the dying person has lead. The second edition will stay true to the approach that has been so well received in the original volume, updating and addressing new information and developments in the field as appropriate.